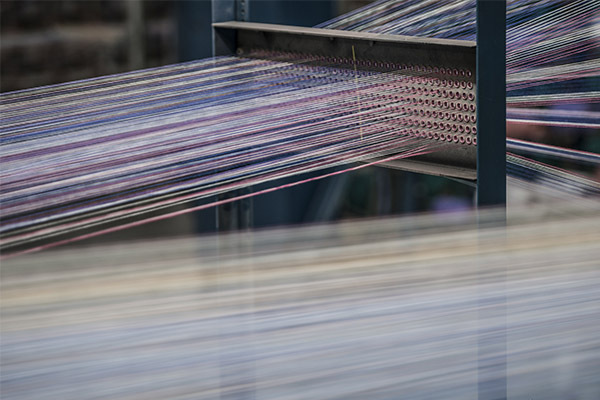 To enhance the properties of our yarns, textiles are subject to a series of treatments to optimize their performance for unrivalled fabric resistance and convenience. Dickson® fabrics reduce glare and heat by up to 95% by limiting the greenhouse effect, keep your interiors feeling fresh and, depending on the color, block from 90% to 100% of UV rays. 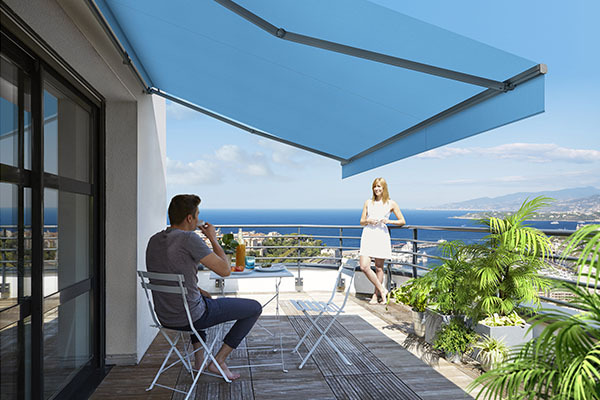 Enjoy optimal protection and make the most of your terrace. The solution-dyed acrylic yarn used to produce our fabrics offers long-lasting resistance to environmental damage, including rain and UV rays. Even when exposed to strong sunlight, colors remain sharp for a very long time. 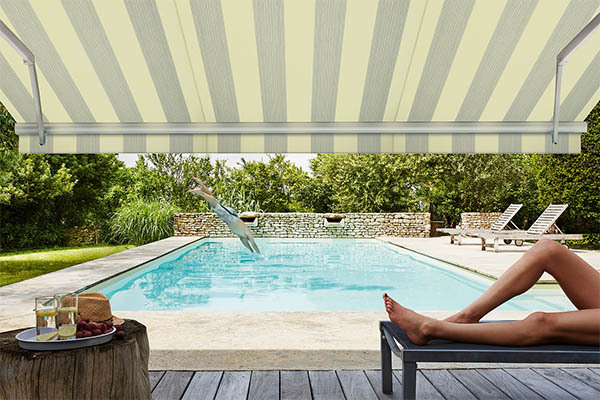 Your Dickson® awning fabric will look good year after year. Once treated, our fabrics are fully water-repellant. As water does not penetrate the fabric, it also prevents all types of mold. 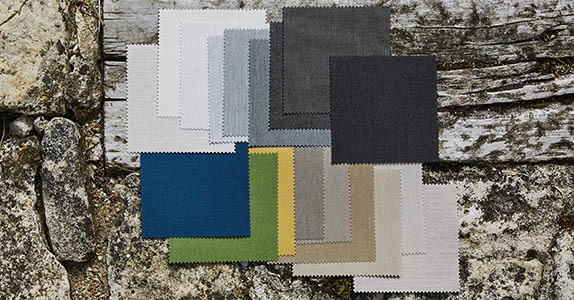 Its high-performance fibers, treatments and weaving processes enable Dickson® to guarantee its fabrics for up to 10 years. 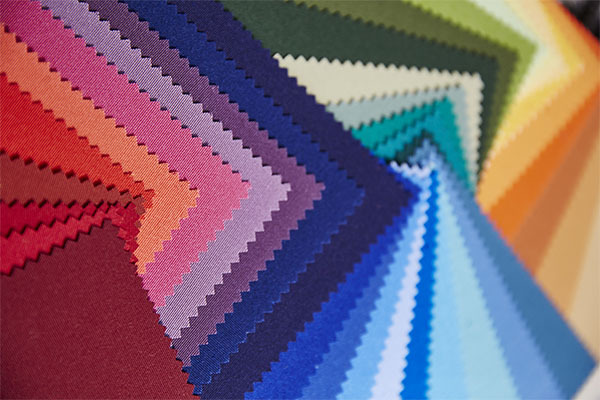 The design and durability of Dickson® fabrics - the result of a stringent production and laboratory testing process - are sure to surprise you. Dickson® awning fabrics are environmentally friendly. They are tested and approved by OEKO-TEX 100. Dark awning fabrics provide better protection from the heat, light and UV rays. Lighter colors are less effective for heat and UV ray control but allow more light through.